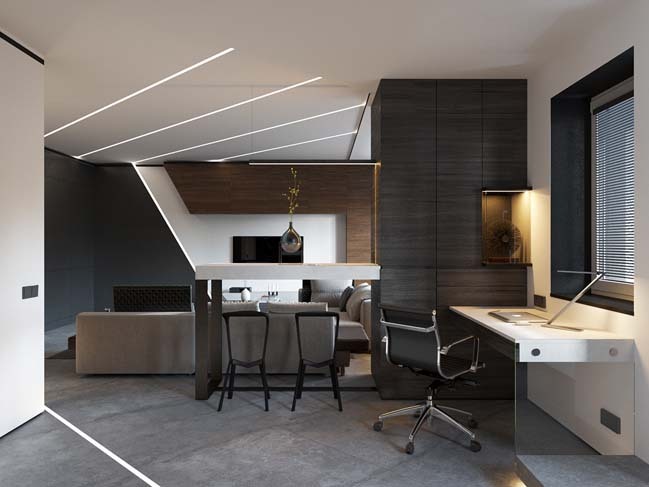 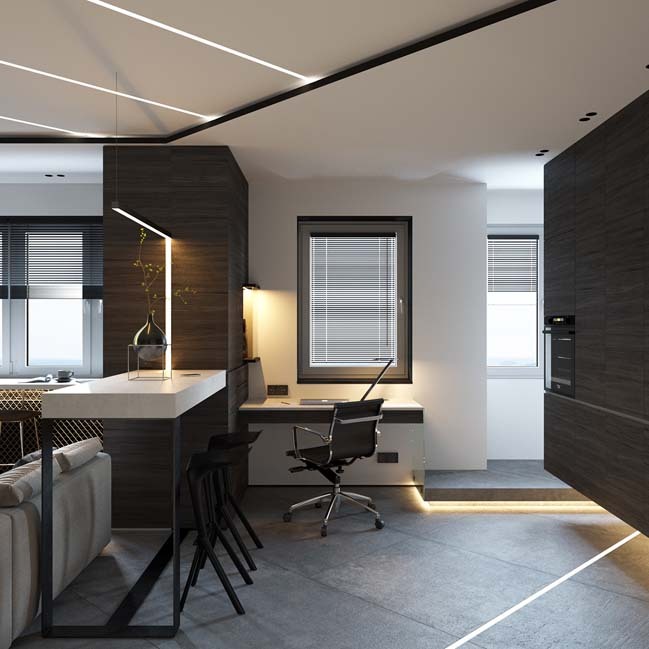 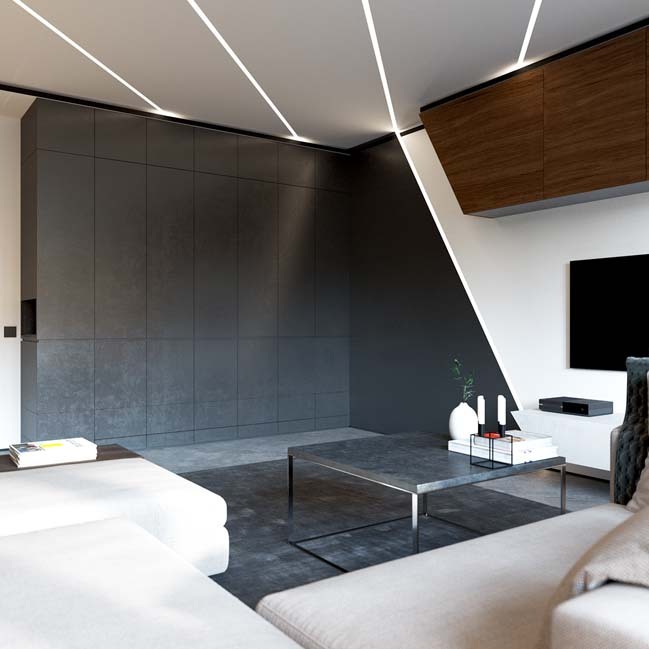 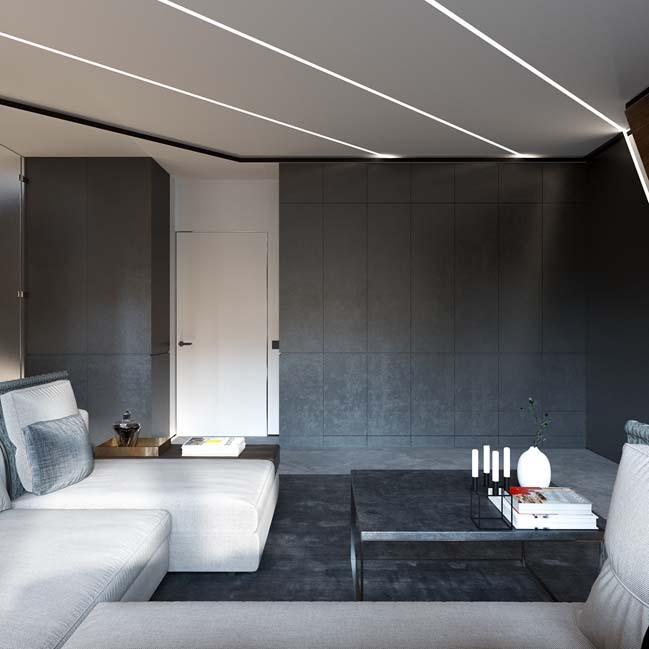 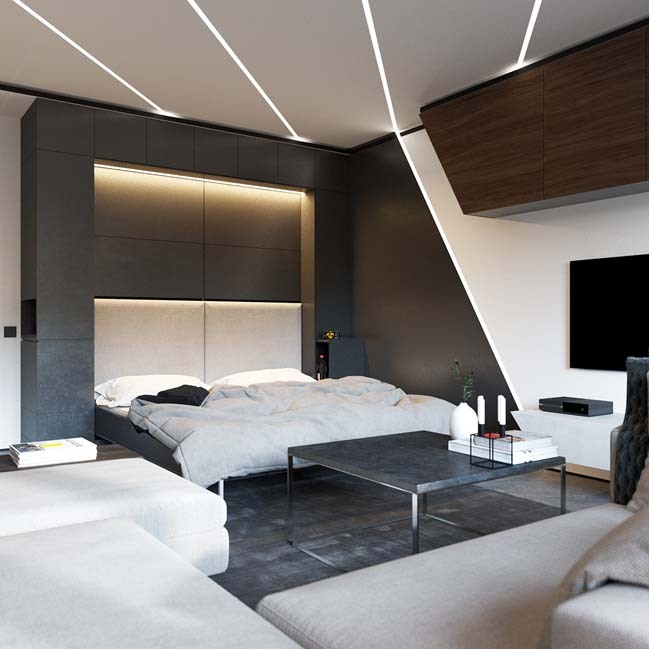 This small apartment is a perfect combination of minimalist style and creative interior design to create a luxury home in a tiny area. 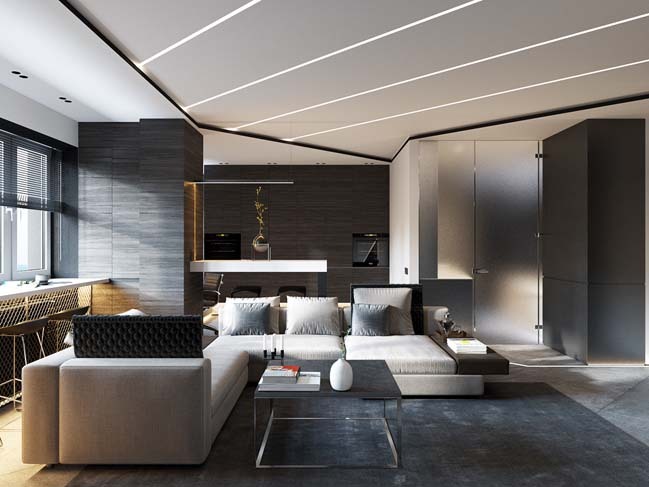 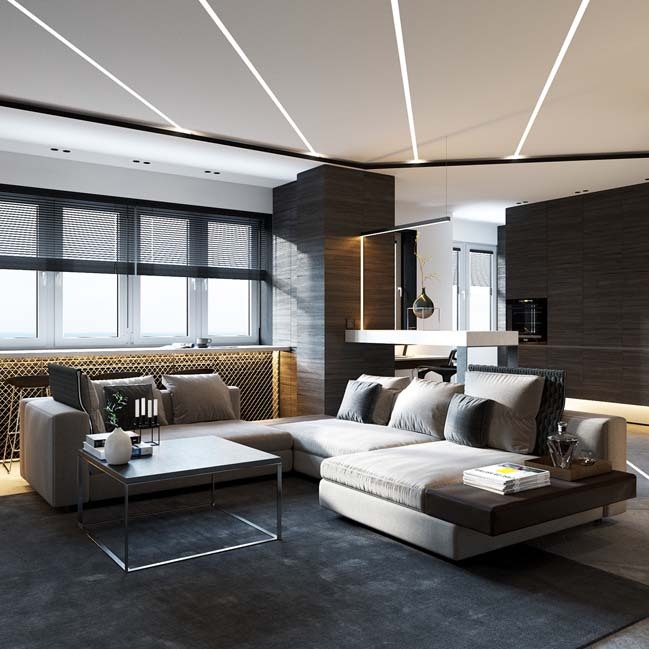 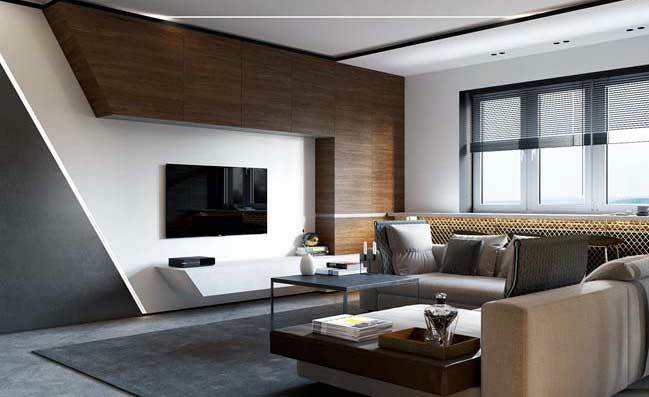 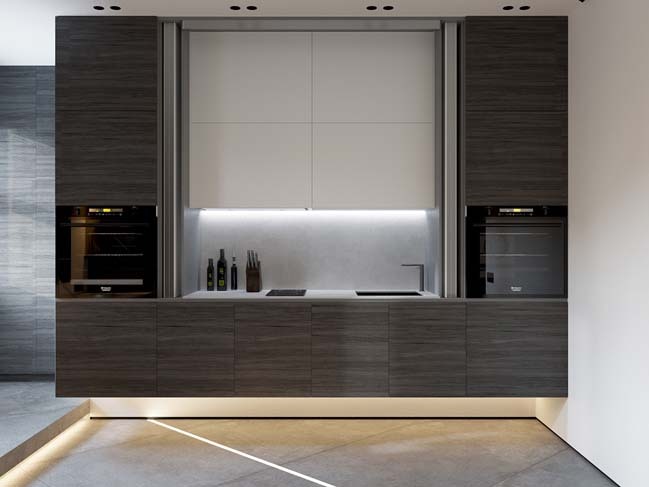 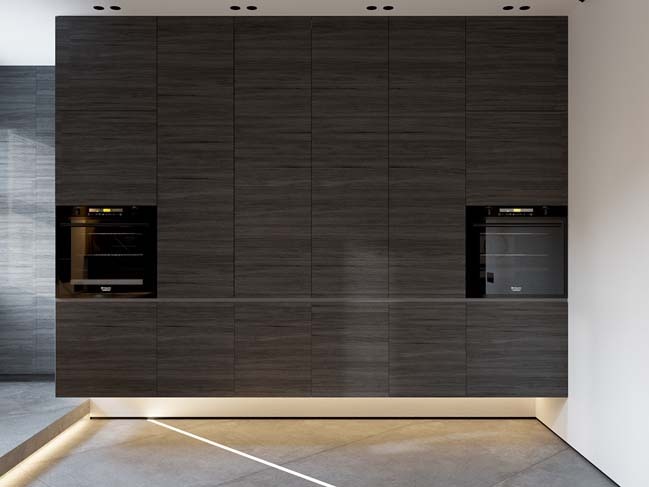 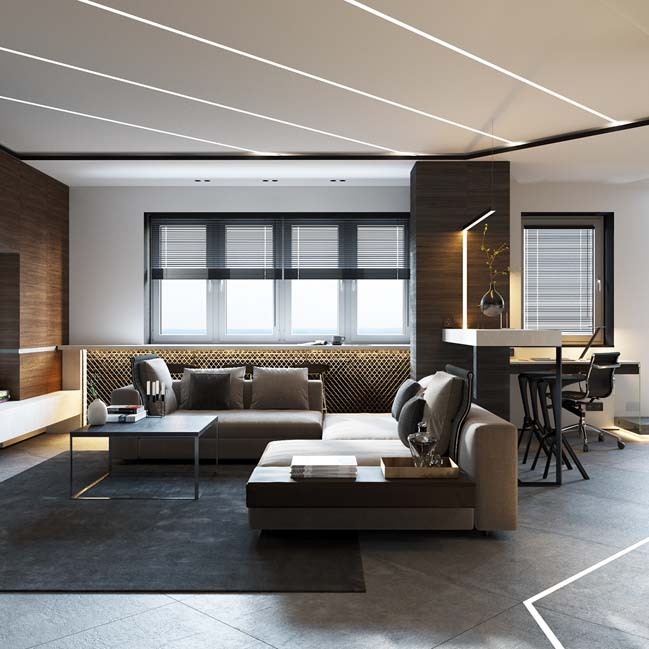 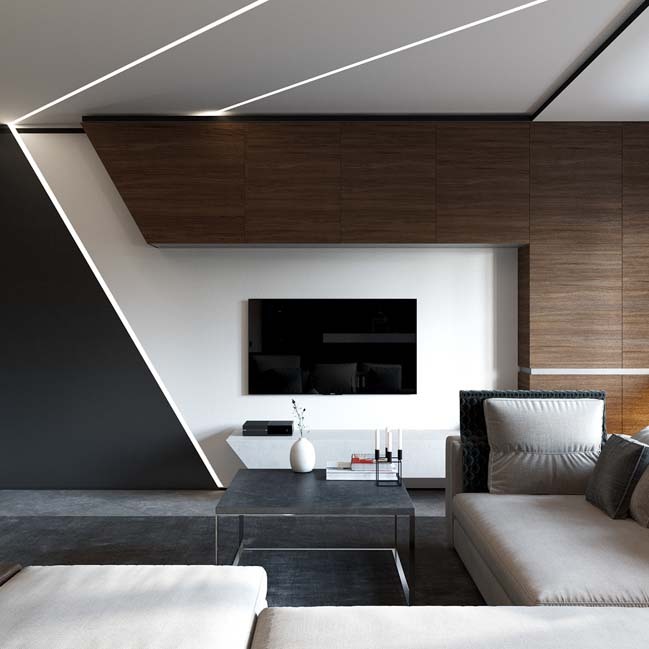 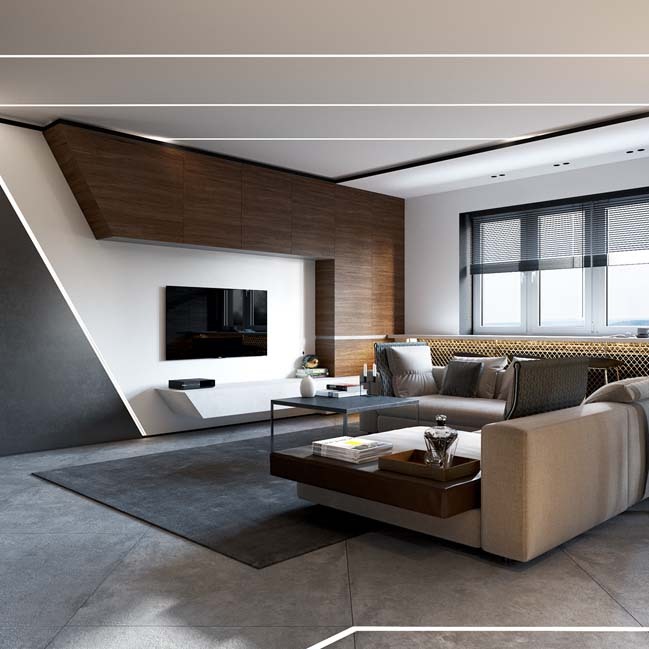 Due to has a small area, almost walls are removed to create a large open space that included a living room, kitchen etc... with sophisticated neutral tones. 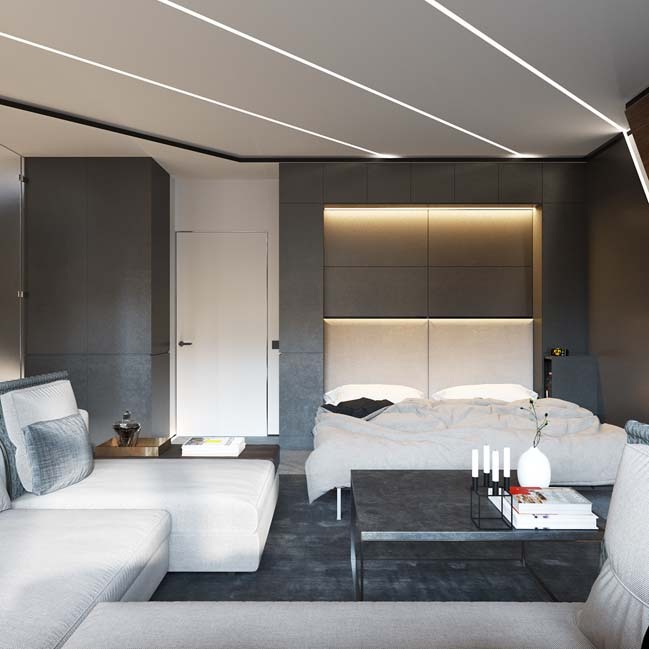 To save space, the designers chose a murphy bed which is hidden behind the grey wall beside the living room.